MKB’s Principals are Keith Brown and Michael Barnett. Keith is a communications specialist and is managing director of Brown, Ray & Associates, a communications consultancy firm. 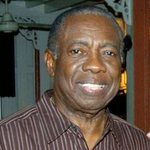 He is a former president of the Jamaica Boxing Board and the Public Relations Society of Jamaica and former Vice President of the Jamaica Cricket Association. 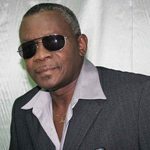 He is also a freelance sportscaster with TVJ and has a weekly music programme “Moods” on Radio Two on Sundays. Michael Barnett is the former sales and Entertainment Manager of the Oceana Hotel where Heineken Startime originated. He also presented the memorable award winning “Inseparable” series featuring the late Dennis Brown. Michael also heads the popular Miguel Model Agency with offices in Jamaica and Florida and is a freelance music writer for the X-News newspaper. He also presents the music programme “Kool Vintage Vibes” on Kool 97 FM. Messrs Barnett and Brown have had major production roles in several big shows both locally and overseas including the Gladys Knight, Smokey Robinson, “Bustin Loose”, Jamaica Carnival’s 1998 Tribute to The Greats, The Philadelphia Vintage Carnival; and Vintage Reunion in Miami.